If you tend to wake up soaked in sweat and feeling sticky then you might be a hot sleeper. It can become a nuisance to health and even be disruptive to a good night sleep. Sleep is crucial to productivity and optimum health and sleeping hot can, unfortunately, ruin sleeping patterns and trigger individuals to wake up frequently. Sleeping hot can be the result of the weather, room temperature, body temperature, number of people sharing the bed, type of fabric used in the bed, your pajamas’ fabric, hormonal changes, health conditions, medications, and other reasons. While sleeping warm can be good especially for cold nights, sleeping too hot though is bad news. There is a scientific explanation though on why we sleep hot at times. Some people are naturally hot sleepers while some could just be affected by some external or environmental factors . Your wake and sleep cycle – It is interesting to note that the body’s circadian rhythm dictates our wake and sleep cycle with the use of body temperature. The body temperature typically rises and falls all throughout the day. It tends to go erratic and fluctuate many times. It will rise to signal the wake cycle or when the mind and body are fully alert and active and body temperature drops at night to signal that it’s time to go to sleep. When you are in Rapid Eye Movement (REM) phase of sleep, your brain switches off and stops regulating your body’s temperature. It is then the room temperature that dictates how cool or hot you feel. Lowering skin and body temperature helps start a good night sleep. The cooling effect of a shower or cooling pajamas can can also help you lower body temperature and set the stage for sleep. Individual metabolisms and preferences – How hot (or cool) your body naturally feels depends a lot on personal preference. Some sleepers prefer to have a warm bed at night, while others may naturally feel hot at night and like to sleep in a cooler room or bed. Weather conditions – Heat waves or extreme heat due to weather conditions can also affect your body temperature when sleeping. When the temperature is high, you tend to be restless while sleeping and this shortens the hours that your body is supposed to be at rest and regenerating itself. Proper air conditioning in the bedroom is conducive for better and longer sleep. While it is advisable to sleep cool than sleep hot, extreme cold can send shivers to your spine and also be a sleep deterrent. Mattress and bedding – When it comes to sleeping hot, the two most important properties are breathability and heat retention . The reason why they sleep hot is due to its structure and the material used. Aside from those factors, the level of firmness can also have an impact on the temperature you sleep at. Softer mattresses causes allow sleepers to sink in, which will then restrict the circulation of air between sleepers and mattresses as well as within them. What to do When You Sleep Hot? Night sweats aren’t glamorous at all. If you tend to be overheating in bed and your sleeping cycle gets faulty and downtime disturbed, then it’s time to check on the physical and environmental factors that could be triggering the extreme heat when you’re sleeping. What you wear to bed should be the first thing to take into consideration if you feel overheated. Pay attention to the fabric and design. Cotton – Natural, soft, lightweight, and breathable. Silk – The best fabric when it comes to regulating your body temperature so you won’t get too hot or too cold. Flannel – Breathable and warm without making you feel overheated, but not advisable in summer. Moisture-wicking – The best fabric draws perspiration away from your skin. Bamboo – Great natural moisture-wicking material. It’s soft, silky, and a 100% biodegradable. The design of your sleepwear is also another important factor to take into account when shopping for one. It shouldn’t be too loose or too tight or have buttons, snaps, and tags which can irritate your skin during sleep. Like mentioned before, breathability is very crucial to how cool or hot a specific model sleeps. The best sheets are ones that do not trap heat or moisture. The ideal material for your sheet would be 100% cotton or bamboo. Covers that are lightweight and natural like wool or bamboo are highly recommended as they’re more breathable. 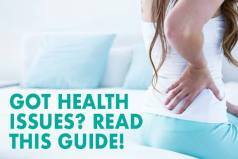 Memory foam has the ability to conform to your curves, but can often trap heat around your body. Plant-based memory foam and gel-infused memory foam sleep cooler than the traditional one, as do other infused type of foams including copper. Latex also conforms to your contours but its natural springiness allows you to not be trapped inside. Natural latex sleeps much cooler as compared to its synthetic counterparts due to its inherent properties which don’t trap heat. Innerspring (coil) mattresses have a very open structure which is very breathable. They allow air to circulate around the coils so they generally sleep cool. 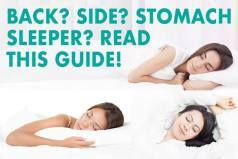 One of the elements to a good night sleep is finding the best option for hot sleepers. 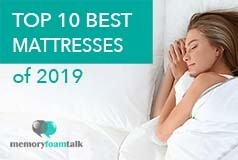 The good news is that with all the sleep technologies that are on the market today, there are many options available that will allow hot sleepers to sleep cool and more comfortable. What makes the Layla an obvious standout among other mattresses is that you can change its firmness simply by flipping it over which allows you more control of your sleep preferences, as well as the innovative use of Copper which helps provide a cooler sleep environment. The Layla is also a classic memory foam model that utilizes copper infused memory foam as well as ThermoGEL in the cover which helps regulate body temperature which provides a cooler sleep. This is a great model with the best technology available now for hot sleepers. It solves the problem of sleeping hot which many memory foam mattresses unfortunately cause with the use of innovative technology. At $799 for a Queen (using our MFT100 coupon), its a price that can’t be beat. The Loom and Leaf is a premium memory 12″ memory foam model that is made up of multiple layers of high quality foam with medical grade cooling gel. Despite being all-foam, it does not sleep hot at all due to the top cover layer being gel-infused. Its Loom and Leaf is popular because it helps promote deep and rejuvenating sleep. It offers features found in much more expensive mattresses, at a fraction of the price. The Loom and Leaf has two firmness options, a Relaxed Firm and Firm model, and is super plush and comfortable to sleep on. It does a really good job at providing support while hugging your body’s curves nicely, as expected from an all-foam model, without sleeping hot. 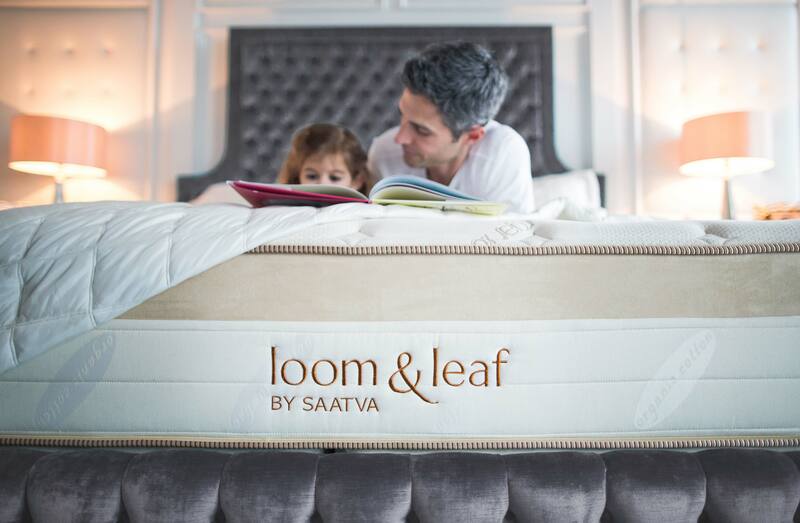 The Loom and Leaf is one of our top rated models, and an excellent choice for a memory foam model that sleeps cool as well. The Avocado Green is a hybrid coil and latex mattress which provides excellent cooling in an organic and natural mattress, surpassing mattresses which cost much more for the same quality. The Avocado utilizes springs and latex, both of which are superior materials for providing airflow and inherent coolness, along with an organic Joma wool cover which also wicks away heat. The Avocado is a great option for those that are looking for an organic model that sleeps cool and provides an environmentally friendly choice. Choosing the right model is crucial to having a cool sleeping surface that allows comfortable sleep all throughout the night. When the temperature becomes unbearable, it is extremely hard to maintain a healthy sleep routine. It ultimately sends off a domino effect and negatively impacts everything else in your life – career, studies, relationships, and your health. For a hot sleeper, choosing a cool model will improve sleep routines, adding back quality hours to your day-to-day life and preventing you from feeling tired or worn out from lack of sleep. We hope that this guide to finding the best model if you sleep hot helps you with your next purchase, if you have any questions feel free to contact us!